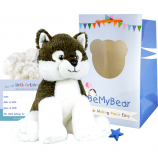 When you sign up for a specific newsletter, we (Be My Bear) add your email address to a corresponding mailing list. While it is there, we know that we can contact you by email regarding that topic. Send an email to enquiries@bemybear.com. We use a third-party email service called MailChimp to send newsletters. Some members of our staff can view mailing lists with email addresses. That way they’ll be able to remove your email address from the mailing list, should you request us to do so. If you decide that you no longer want to use our store and would like to have your personal data removed from our database (or if you’d like to get all the personal data associated with your account that we have), please send an email to enquiries@bemybear.com. If you believe that your personal data has been misused, you have the right to lodge a complaint with a supervisory authority. We’re obliged by EU General Data Protection Regulation to let you know about this right; we don’t actually intend to misuse your data! 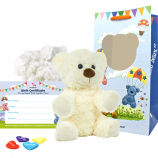 The award-winning build anywhere teddy bear company supplying kits for parties, gifts and everything in-between. Copyright © 2001 - 2019 Be My Bear Limited. All Rights Reserved.